One of the major crop of drivers in Hollywood; both in film and television are young adults. This demography is one of the largest sources of revenue for Hollywood studios and as a result, there is both an artistic and business need to represent their lives on both film and television. To do that, you need young actors such as Jonathan Whitesell, who has been a professional actor since 2015. Jonathan Whitesell’s body of work within a short period of time has seen him appear in projects like The Unspoken, Once Upon a Time, iZombie, and Riverdale. On these shows, Whitesell has managed to capture some of the conflicts that plague the life of the modern young adult and he does it so perfectly well. In this article, we have decided to explore the life and career of Jonathan Whitesell thus far. Read on. Jonathan Whitesell was born in Duncan, Vancouver Island in Canada on the 28th of August, 1991. He was raised in Duncan by his parents for seventeen years. Little to zero information is available about his background but Jonathan grew up wanting to be a member of the Canadian Military. However, we sometimes find out that what we thought we wanted isn’t what we want and Whitesell learned this lesson when he enrolled in the Canadian Military in 2009. After his enrollment, he discovered it was not what he wanted for himself and he subsequently disengaged and headed to Capilano University where he studied acting. In Capilano, he became skilled in Theatre and on-screen acting, and he proceeded to make his debut on screen in 2015 at the age of 24. Ever since, he has gone on to star in 1os of films and television shows, working alongside some notable names in the industry, like Michael J. Fox and Gillian Anderson. Jonathan appeared in his first credited onscreen role in 2015 in the television show, Proof. In the show, which he appeared in one episode, he played the character, Charlie Maynard. The breaking of the ice in his career led to his sophomore role in the same year as Michael Gibbons in an episode of Ties That Bind. 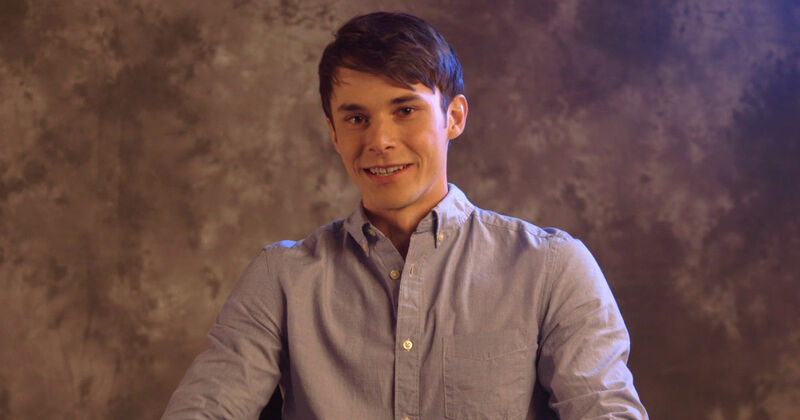 In his debut year, Jonathan Whitesell appeared in a total of five projects, including making his debut in his first feature-length film, The Unspoken where he was cast as the character, Logan. In 2016, the multiplicity in the number of shows he appeared in during the year continued with shows like The X-Files, Once Upon a Time, A.R.C.H.I.E, and his first recurring role, as Bryan in the drama series, The 100. He also played Luke Matthews on Beyond from 2016 to 2018. After playing the role of Bryan over the course of 2016 through to 2017, he appeared in Never Steady, Never Still and also got another recurring role in Beyblade Burst as Quon Limon. More recently, Jonathan has starred in other shows like Project Blue Book, Riverdale where he plays the character, Kurtz. In films, he has played Arnie in Hold the Dark, Chris Grimes in Bad Times at the El Royale and Coombs in The Kill Team. Jonathan Whitesell is in a relationship with Chanelle Pelloso. The relationship began in the same year that Whitesell’s professional career started in the industry. Just like himself, Chanelle is also a thespian who has appeared in films like Zapped, a Disney Chanel film, where she portrayed the character, Rachel Todds. She has also made appearances in The Haunting Hour and Girl Fight. The couple has remained together as one as they continue to build a solid career in the industry. Jonathan Whitesell, like the rest of the human population, has a family, but sadly, not much is known about them. Considering he is of white ethnicity, it is a fair assumption that he was born to white parents. If the actor has siblings, that is a fact that is so far unknown to the public. One thing that appears evident however is, Jonathan Whitesell has the support of his parents in his chosen profession. Jonathan Whitesell has a height of 5 feet 8 inches. His physical appearance is further complemented with noticeable features like dark brown hair and brown eyes. Other than his acting responsibilities, Jonathan is a skilled video editor and visual effects artist.